When I was a kid, I dreamed of living among horses in the wild, free as they were to do as I pleased. I figured that unfettered lifestyle would make me happy. Of course, I also imagined I could talk to horses like Dr. Doolittle. It was just me and that herd bonding, sharing and taking care of each other with a rapport and blissful existence of unencumbered pleasure. I learned a lot when day dreams gave way to reality. Observing horses in what I expected to find euphoria in that freedom to roam taught me something else. The Halcyon Acres herd greets a bus and the people in it from an assisted living center. Redford, the yearling ready to enter the bus, had special permission (an a personality that allowed for this) to run free. After decades of running a farm with big acreage pastures, I discovered most domesticated horses would prefer to have job than run free. I learned this lesson on 117 acres with more than 30 of those fenced as pasture. Here, I witnessed the behavior of horses ranging from new born foals and formerly active broodmare competitors to client horses bred for racing or intended for a particular amateur career such as competitive trail riding or the shows. Granted, they’re not always fit to do what we intend for them, but if you can find their passion, they’ll bolster yours. Admittedly, I had a pretty good work ethic starting at a young age. I served as a vet assistant when I was six; my duties were scaled back after I passed out during a surgery assistant role. By age ten, I had a paper route with 60 houses. That took some doing as a girl in the 70s, but I wore down the powers that be with my pestering to finally get them to give me a chance. I was a waitress and bank teller during high school as soon as I was legally old enough for salaried work. It took me another couple of decades to realize the animals we’ve bred to be our companions and servants for millenniums want a fulfilling job too. Not all of them, of course. Just like people, there are the lazy, unmotivated and takers in the bunch. But my earlier belief that a domesticated horse’s dream life was to be free was shattered after I spent time witnessing horses who loved their job put to pasture. Some horses get too old or too crippled to continue in a job they seemed to be born for. This includes racers, high level eventers & jumpers, rodeo performers and even some amateur mounts. Even with these aged steeds, they tend to relish an opportunity to find a new career that provides purpose. This could include broodmare, child protector, trail trekker, therapy horse and a whole bunch of other possibilities that allow for less strenuous tasks that fit their nature. Morrie reminded me of how important it can be to find the right job for an animal we care for. 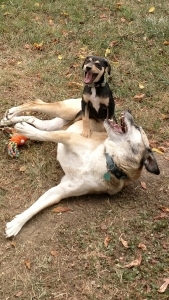 He’s a wiry mutt of the canine variety, but, funny enough, he’s found agility to be his game. It seems the higher the jump or the faster the course the more he enjoys it. Of course, we’re still working on that control thing – funny I’ve had a lot of horses with that issue too – but, his joy for the game turns heads everywhere he goes. Finding that joy activity with horses is key. If your horse truly relishes what you’re asking him to do, he’ll amaze you with his try. When you own a farm or are the primary care taker at a horse facility, one of the toughest things to do is to leave. I’m not talking selling the place, I’m talking a vacation or even a celebration day or two with family. Unless you have reliable staff that’s supporting day-to-day operations, finding someone you can trust to show up, do what you ask, and not create a problem is challenging. This is particularly difficult when you live in a remote area. I spent 20 years running a horse farm at my residence. During that time, I’d be on pins and needles any time I took a trek out of state for holidays or business. It seemed whenever I returned, something was amiss. This included everything from water left on that flooded the barn – not easy to do as this was a BIG barn – to hired help that simply decided not to show up. It boggles the mind. Things happen when you don’t expect it, so it pays to be ready with qualified help when you need it. My biggest eye-opener was when I broke my leg. It was a bad break that had me hopping for three months. Less than a week into my recovery, the hired help came knocking on the door. One of my mares was being stubborn, she said. I hobbled out to the barn to find a nail lodged three inches into her hoof. It had been there for days. Apparently, a head bob to the floor didn’t cue her in something was off. It took the horse refusing to move to get her attention. The mare survived. I figured out how to get down to the barn twice daily to and treat and wrap the wound. That incident, though, made me determined to never put me or my horses in that situation again. So many of us who care for horses skip vacations, shun travel and assume we’ll always be there to manage the herd. Sometimes, life throws us things we don’t expect and can’t predict. It took almost losing a horse for me to realize I needed a better plan. So how do you prepare for the unexpected? Better yet, can you create a situation that lets you enjoy holidays and other events without spending every moment away worried? Yes and no. You can never be certain things won’t go wrong while you’re gone. You’ll probably always wonder if your horses are ok in your absence. What you can do, though, is try to set things up ahead of time to reduce issues and stress. The worst time to audition horse care support staff is when you’re not there or are incapacitated. Wondering what you’ll come back to makes any time away filled with angst. You can’t predict everything they may face, but you sure can get a read on whether your intended coverage has any horse sense. You can also get clear on what responsible means to them. This interpretation varies widely, especially with younger adults. It’s almost never what you’d expect. Instead, consider paying someone at least weekly to first shadow you for training then do chores independently. 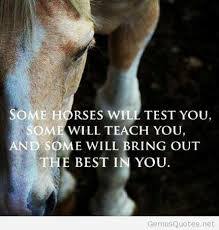 There’s no guarantee here either, but at least they’ll know the horses, and visa versa, learned how you like to do things and demonstrated they can show up for more than one day in a row. It can be really difficult to find help when you’re a distance from populated areas. 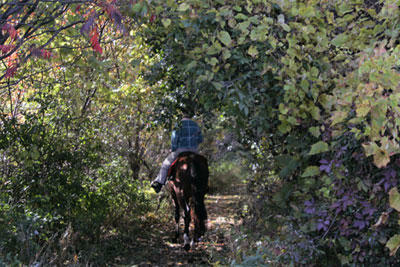 Although my farm was only a ½ drive from a dense horse area, people seemed to feel 10 minutes was a haul. That made it tough to attract knowledgeable equestrians, no matter how much I was willing to pay. I eventually realized if I wanted reliable and happy help, I’d have to train them. Sometimes that’s better. It takes more time. 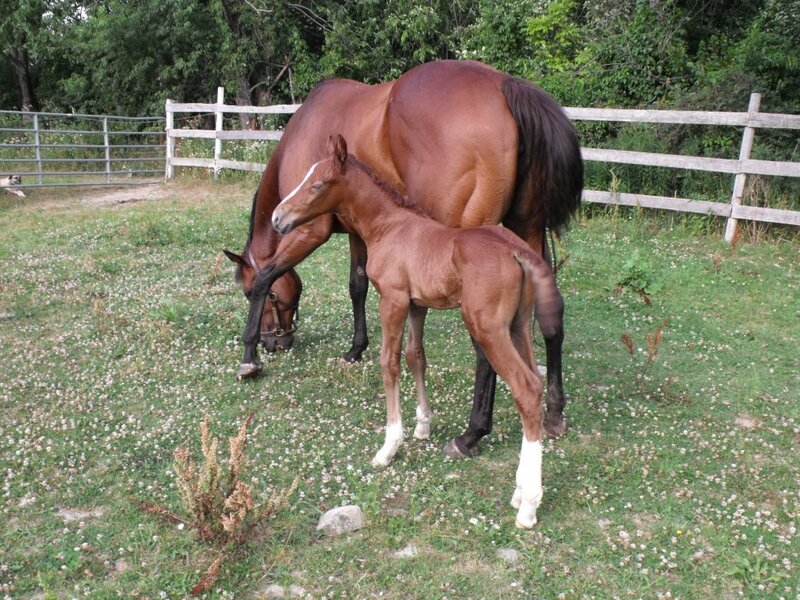 Babies come with their own set of concerns when seeking the right kind of horse help. Consider the benefits of giving yourself a day off a week. Right, that never happens, but if your goal is to pay someone to handle most of the horse chores even just one day a week, you’ll be a lot better off when you need emergency coverage. The time and money you spend training them and keeping them loyal will be worth it. You’ll have more hours to handle neglected farm activities and reduced stress when you must leave the property. Watch how they handle things when they think you’re not looking. That will tell you a lot about how they’ll perform when you’re away. If they have a good work ethic, some common sense, and a desire to do the right thing by the horse, this bodes well. I had a window in my office where all the paddocks and pastures were visible to me but others couldn’t see inside. It was the second story of a garage. This helped a lot in assessing problem-solving skills and an employee’s nature. If you have a spot you can watch from that’s not visible to your help, you’ll be amazed at what you learn. Horses are great at telling you when something doesn’t feel right. It’s funny, I used to walk into barns at the racetrack and could assess a trainer’s style immediately. That was a good thing because I was getting tossed onto a lot of horses I didn’t know. You could tell which barns pumped up the horses with hormones, which trainers were nervous and afraid of their equines, which shedrows had violent grooms and where the horse was included in the exercise decisions. You have the advantage of knowing what’s normal for the horses at your barn. If they get anxious, aggressive or agitated when someone walks into the barn, listen. That’s not a good sign. Reconsider if the person you’ve chosen for help is a good fit for your stable care needs. No one’s ever going to be able to do things exactly the way you do. Sometimes, that’s an opportunity for you to learn too. People with experience have ideas and processes that may offer better approaches you hadn’t considered. Of course, people with experience also like to do things their way. Training help with little or no horse experience gives you the opportunity to mold someone to do things the way you like them done. It takes a lot more time to work with a novice, but often the results are better. Either way, it’s unlikely your barn and horses will look the same as when you do the work. That’s OK if horses are comfortable, happy and safe. If you get too focused on everyone doing things just like you, you’ll lose a lot of help and sleep. Realize people need some freedom to do a job the best way they see it. Try to focus on and encourage the strengths of the staff you engage. You can comment on the items that frustrate you, but if you put heavy focus on this, you’ll discourage your help. Let them have some freedom to come up with solutions that work for them. You might be surprised at how impressive their effort becomes. I’ve engaged everyone from neighbors to my vet in horse care coverage. Some worked out better than others. I was very fortune to have an equine vet buy a property nearby after years of challenges with the local “go-to” vet for every kind of animal – jack of all trades, master or none – or needing to truck horses to facilities where knowledgeable professionals worked. That’s a rare stroke of luck, I realize, but sometimes there are opportunities to engage the very best available for affordable horse care. I was on the ready to help with her farm emergencies or care needs too. You might be surprised, though, who is willing to be available if you only ask. Vets, blacksmiths, chiropractors and all sorts of other horse professionals you pay to help you keep your horses healthy and happy might be open to giving you coverage. If they’re horse lovers and owners, chances are they’ve had the same challenges finding someone they trust to jump in when they need help. That kind of quid pro quo can be priceless. If your tact is to depend on neighbors, make sure you spend a good deal of time “educating” them before you call on their help for solo coverage. That mare with the nail in her hoof – that was missed by a neighbor who had owned horses and claimed to be an experienced caretaker. Finding the right help to give you comfort and ease while you’re away is invaluable. If you spend some time paying and preparing help to properly care for your while you’re away, you’ll find it’s worth it. You really do need that occasional relief from farm chores. Whether that’s someone covering morning feeding and turnout or a week while you take that vacation you’ve been putting off for a decade or more, coming back refreshed will serve both you and your horses better. Consider taking the time now to get someone in place that’s ready, willing and able to give you coverage before you need it. Whether it’s an emergency, family vacation, holiday retreat or just a day a week where you have an extra few hours to devote to things you’ve been neglecting, you’ll appreciate the break. It takes some planning to be able to do this without angst. Done right, though, even if you’re in a remote area, it’s possible. 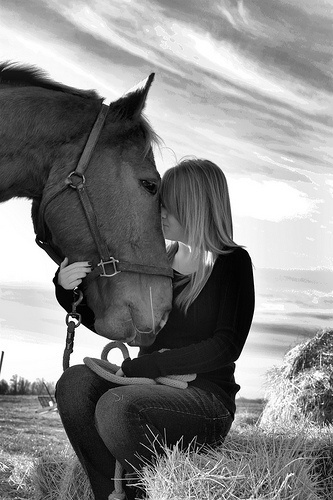 Think about how much easier your life could be with someone on the ready you trust when you need horse coverage. Get ready before you need the help. Believe me, I’ve learned the hard way what happens when it’s done frantically. You don’t want to do that. Geoff Hineman, Marketing Manager for Lone Star Western Décor, approached me about a month ago asking me to post a western boot infographic on the Horse Sense and Cents blog. 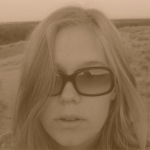 Frankly, I don’t have a lot of experience in the Western world (a bit of team penning – now that’s fun! – and a Wyoming client roundup ride – but that’s about it), so found what I learned from this visual interesting. Hopefully some of you will too. To boot ;-), I hadn’t heard of Lonestar Western Décor, so figured I’d check them out. They have some fun stuff on their website. If you like turquoise and decorative or furniture items that have a distinctive western flair, you might have some fun getting lost in their store. It looks like a warehouse operation akin to Wayfair or Overstock, but smaller and more niche oriented, but I don’t know. Could be a good place for holiday gift shopping for some of you. I haven’t ordered anything from them yet (but am eyeing an item or two), so can’t speak to the customer service or quality experience. I’d do a call out to y’all in Texas to ask about your experience with them, but, curiously, the mailing address on the website is in Oklahoma. There is no about page, so I can’t give you much on their history or culture. Still, I think you’ll have some fun with this infographic – even if it’s just for bragging rights on footwear know how. Sometimes, a little creativity can reduce your horse costs dramatically. We all face unexpected challenges that cause us to start considering the worst when money problems surface, but there are some easy ways to keep your horse happy and healthy without breaking the bank. 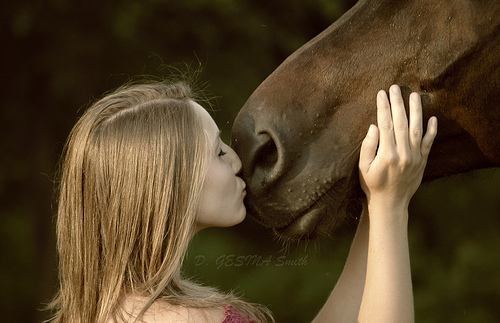 Consider these nine horse care cost reduction tips before you decide to say goodbye. Photo courtesy of Tricia Hope via Flickr. Consider a living arrangement with feed options that include quality pasture forage. 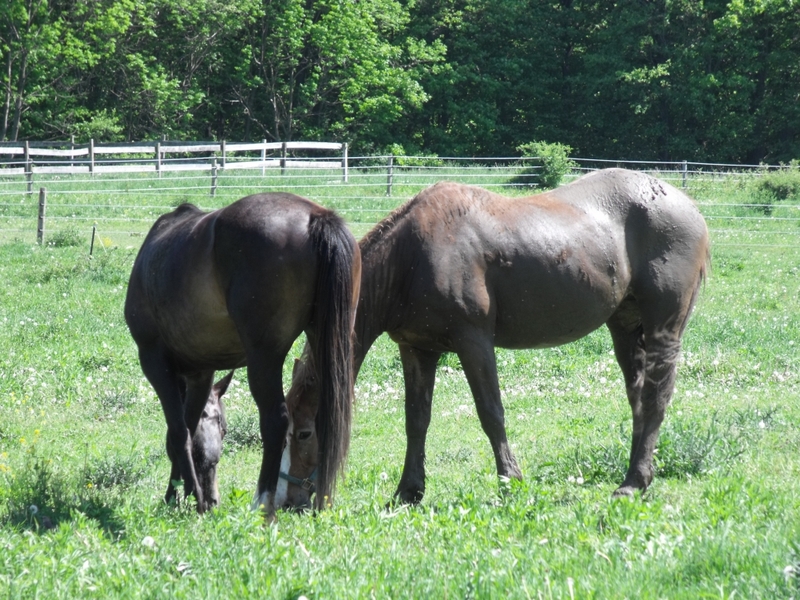 Of course, if it’s rich pastures, you need be careful with sugar sensitive horses and also acclimate healthy horses slowly, but grazing is how horses eat most naturally. Turnout board (proper shelter is essential – as during the hot, buggy summer months as in the cold, windy winter) can save you money and make your horse a happier critter. Ensure ample fresh water is provided always and necessary supplemental feed is provided when grass is scarce. Explore barefoot as an alternative to shoeing. While some horses need shoes, most can adapt to a barefoot life. If hoofs can stay healthy and your horse remains sound without shoes, you can save a good sum opting for trimming over metal plates. It takes a few weeks for a shod horse to adjust to barefoot. Monitor hoofs daily initially for signs of stone bruises, which work up the hoof to become painful abscesses if not treated quickly. Drawing agents are inexpensive and needed as quick treatment. I prefer Epson salts, which are also available as a gel product these days, but some swear by ichthammol. Soaking takes time and should be done a couple of times a day for at least 20 minutes. Epson salt gels and ichthammol can be applied to the sole, packed with cotton, secured by Vetrap and protected from bandage tearing with duct tape. Do bi-annual fecals (more regularly if counts worm warrant) instead of a regimented regular paste wormer approach. It’s less expensive, healthier for the horse and helps to reduce a big problem we’re now facing with parasite resistance while being kinder to the environment. If you board, see if there are jobs you can do (stalls, ,turn out, fence repair, tack cleaning, etc.) to help trade some sweat equity for horse housing costs. Have the horse around the house? Adding more fencing with bigger grazing areas outdoor shelter can reduce feed and bedding costs. Offer a friend ride time in exchange for splitting care costs or consider a shared arrangement with a leasing agreement (make sure this is vetted by an attorney and addresses liability and also plan on watching what they do around your horse for a while if you don’t know them well). Sell or gift your horse to someone you trust who is willing to let you continue the relationship. Create a bank account where you put all money usually spent on coffee, fast food, lottery tickets, prepared meals, entertainment and other items that are impulse buys. Substitute bought with homemade. You’ll be amazed how quickly this account can grow once you get conscious of unnecessary spending. Get savvy about seeing and treating issues early. There’s a lot you can do without a vet to doctor little things and prevent them from becoming bigger problems. Giving your horse a good look over daily is a big step toward avoiding costly remedy bills. Cuts, hoof bruises and rubs are little things until neglected. Seeing colic early can mean the difference between a quick recovery and a twisted gut. Learn how to handle basic injuries so you can help prevent them from becoming big problems. It’s not that hard to find ways to reduce the cost of keeping a horse. Time is required, though, if you want to get educated about smart solutions. A bad living situation with poor pasture or hazards around the facility can get costly very quickly. Taking the time to understand what makes a good horse environment can save you money and headaches. Over the years, I learned to doctor most things another would call a vet out to handle. Developing a good relationship with your vet helps. I’d often call to explain what was going on and ask for input – what should I do or is this something you think you need to see? The majority of the time, the vet would say, do what you’re doing (or try this) and call me if it comes to that. If you really want to keep your horse, there are a lot of ways you can implement these horse care cost reduction tips. As with most things, the question is, do you want to throw time or money at the challenge? When I was a kid, I had a pony. She was my second. The first was banned from Pony Club games and ultimately riding where he was boarded. We donated him to an elite private school (would have enjoyed seeing the first day they threw one of the little darlings aboard). Bittersweet was incredible. She took care of me as we spent hours doing dumb things in the woods and streams and sand dunes (our moniker – this was actually a privately owned, heavily posted quarry) and on busy streets. We enjoyed shenanigans on the trails including swimming, jumping, riding (sliding) down the immense sand hills, traversing roads with dangerous traffic, buying ice cream cones with our ponies in tow. It was a different time. Parents trusted we’d stay safe (OK, maybe they trusted our ponies to be smarter than we were). There weren’t abduction concerns or landowner litigation threats that have most privately owned property posted “no trespassing” today. We asked permission of the farmers to cross, who gladly allowed us to relish long rides through thousands of acres unsupervised. Sadly, the day came when I outgrew Bittersweet. For years, I kept her (for my younger sister – not interested in riding). My parents had bought a small parcel of land, so there weren’t the concerns and costs associated with boarding two. Ultimately, I realized it wasn’t fair to Bittersweet or the local kid population to hold onto her as a pet. Accepting she needed a new home was a hard lesson and an even harder decision, but it was the right thing to do. Many years later while teaching at a riding stable after graduating from college, I learned she was still foxhunting. She had to be pushing 30. It was gratifying to know she was still loving life as part of a human/horse pair. Sometimes the hardest thing to do is let go. If you’ve outgrown your steed, have less time to spend with him or face other life circumstances changing your ability to lavish attention or provide a good home, consider alternatives. 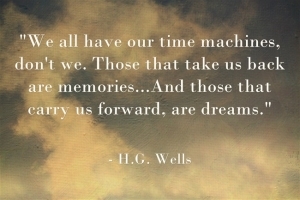 Finding another to cherish your friend with hour each day may be the kindest sacrifice you make. It’s not always possible to place your horse with someone you know. There are options and concerns when dealing with strangers, but there are ways you can influence a great fit. When I recently sold my New York farm, I had buyers as far away as Oklahoma and Minnesota. It takes time and an understanding of your horse’s tendencies, but a good assessment process works. Admittedly, I did make one horrible decision with two horses that went to New England. It’s one of those things I regretted terribly, but the horses were gone before I realized the mistake and ultimately had to let it go. 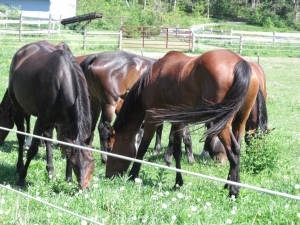 Twelve others found ideal homes with people who fell in love with horses able to be what they envisioned. We stay in touch. Most feel comfortable contacting me if challenges arise or their life circumstances change. In fact, Midge needs a new home, so if you’re looking for a handy, little, smart and gusty mare, contact me. It’s critical to understand your horse’s nature and talents. This can be tough with young stock (we had a number of babies), but not as hard as you may think. You can tell a lot about what will and won’t work for a horse by watching him. Is he brave in the pasture or heartless? Is she out of a strong alpha mare with demonstrated “convince me” behaviors? Does he learn quickly and enjoy training or seem more timid and concerned? Breeding counts too. Your Welsh pony probably isn’t going to be a good fit as a preliminary eventing prospect. Once you decide it’s time to say goodbye to your horse, there are some easy ways to spread the word. Work your network: Horse people know horse people. Talk to your vet, blacksmith, trainer, trail riding companions, fellow competitors, trucker, tack shop owner, hay guy, grain supplier and friends. They may know someone who’s an ideal fit. Social Media: It’s easier than ever to reach people out of your immediate circle. Be careful here – people don’t always present honestly. A “friend” doesn’t mean someone’s vouching for them. Advertise: Surprisingly, Horse Clicks was the most effective for our stock. You’re not going to sell a Grand Prix competitor here, but I was surprised at the quality and knowledge of buyers surfing this site. There are many similar (some free, some not) options, but we didn’t get buyers from elsewhere. Breed Associations: If you’re horse is papered, reaching out to group members who enjoy the breed qualities your horse has is smart. Small breed associations may have more sellers than buyers, but you only need one perfect fit. These organization often have newsletters or correspondences that permit advertising or free member news. Have smart conversations before you finalize a sale (or gift). Most Halcyon Acres horses were bought sight unseen. New owners felt connected with the horse before the trailer arrived because we spent a lot of time discussing needs and expectations to ensure the right horse went to the right home. It wasn’t just buyers assessing me – I made the decision not to proceed in a number of cases. It’s important that both horse and human are a good fit for anticipated riding demands and living conditions. As for Bittersweet – she went to a fellow Pony Clubber. She changed member hands many times, but was happiest with a constant rider companion. As a perfect kid-safe horse for riders at any level, her life was better after each hard decision to let her get back to kid caretaker role she wanted. If the cost of keeping the horse you love is an issue for you, come back to the blog next week for easy ideas on how to reduce expenses. Pro Equine Grooms did a fun feature (apparently four years ago, but I just saw the repost recently) with a starter question “What’s your best bad joke about horses?” Liv Gude offered her horse humor – “A horse walks into a bar. The bartender says ‘why the long face’?”. What resulted were some hilarious replies to the challenge. Below are two of my favorites. The jockey thinks the trainer is mad but promises to shout the command. The race begins and they approach the first hurdle. The jockey ignores the trainer’s ridiculous advice and the horse crashes straight through the center of the jump. They carry on and approach the second hurdle. The jockey, somewhat embarrassed, whispers “Aleeee ooop” in the horse’s ear. The same thing happens–the horse crashes straight through the center of the jump. At the third hurdle, the jockey thinks, “It’s no good, I’ll have to do it,” and yells, “ALLLEEE OOOP!” really loudly. Sure enough, the horse sails over the jump with no problems. This continues for the rest of the race, but due to the earlier problems the horse only finishes third. QUESTION: Why can horses jump so high? ANSWER: They have frogs in their feet. I suppose, although Liv did say “bad horse jokes”, since the one she provided didn’t do much for me, I should offer the lamest one I could find for you all to complain about. QUESTION: What did the horse say when it fell? BUT – if you really want to smile, revisit this oldie but goodie (still haven’t found a source for this hilarious in its truths translation list for horse seller terms) Horse Sense and Cents Humor post. 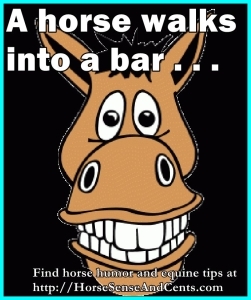 Will you join the horse humor herd? How about you? Have any horse jokes you’d like to share? Please help get the laughter galloping along in the comments below. Let’s have some fun with this. I’ll find another horse humor tidbit to share to for each one provided in the comments. Also, please consider sharing this blog post (easy clickable icons to the left) to get your friends playing along too (tag them if you’re feeling Alpha ;-)). What is ground work with horse training? From the way some present it, you’d think good horse training ground work requires a deep knowledge of trick training, horse whispering (a misnomer for sure), professional stature or hundreds of hours in planned activity. Nope. All you really need is common sense mixed with a bit of horse sense. That’s something that can be applied by novices and, sadly, isn’t always by those calling themselves professionals. Effective ground work – particularly when you’re focused on young horse training – requires mindfulness. If you’re not paying attention to how you’re interacting with your horse at all times, you’ll miss what he’s trying to tell you. Plus, he’ll get confused when you suddenly change your language. 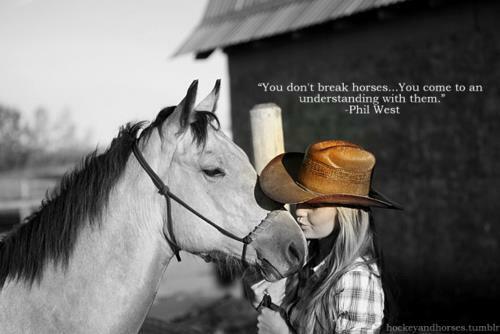 Simply put, ground work is every you do with your horse when you’re not riding him. Sure you can get into fancy stuff to keep your horse (or more often you) entertained, but the lasting lessons will come from the daily, more mundane tasks. Here’s the thing about ground work – it all counts. Most fail to recognize this. Do you blame your horse for being disrespectful after you taught him to bolt from you at the gate because you’ve been in a hurry the last few dozen times so release the halter halfway through? Do you get annoyed when you decide you want him to walk his shoulder to yours after you spent the last month leading three horses at a time or chatting with your friends not noting where your horse is while you trek to pastures together? Do you rush through grooming with a “buck up” attitude when she tries to tell you something’s uncomfortable? Do you make time together stressful, frightening or painful then wonder why your horse doesn’t gallop to you when you call? It’s not so much about what you do, but much more about what you don’t do. First, don’t think you need to be a seasoned equine professional to be good at ground work. Just use your head. What’s important is that you notice things, are consistent and work to ensure your horse understands what you want. This doesn’t require a “teach them respect” tactic (this is particularly counter-productive with Alphas – you must earn this). Nor is it effective to take a “let’s all be friends” approach. Like kids, horses won’t understand what you want unless you’re clear about it. Sometimes this entails setting some boundaries. Other times, there’s a need to listen. If you pay attention, you’ll be able to pick up a whole lot from your horse to help you get where you want to go (no horse whispering certification necessary). I’ve found it easiest to get the best read on a horse’s personality by watching him with a herd. Don’t assume the bully is an Alpha. More frequently, this is a scared horse pretending bravado. Instead, watch which horses they buddy up with. See how the herd responds to them (your Alphas are generally followed and not feared – that bully at the water trough or round bale is usually avoided, not revered). Sometimes there’s history that needs to be worked through. A horse’s past is going to affect how she responds to you in the present. Know this and adjust your approach appropriately. Are you dealing with an Alpha (be sure) that’s intimidated or bossed a former owner? This requires a stand your ground approach (NOT aggressive or inciting) where you calmly ride through the tantrum as you continue to ask for cooperation. So, let’s say you’re dealing with a bolter at the gate. Secure the horse (if this means putting a chain over the nose so she doesn’t burn your hands as she rips the lead rope through them, do this – just know how to use it right first) so you have enough control to get through the gate and shut it behind you. DON’T pull on the lead. Let her pull against it if she wishes. Slacken your hold as you can. Turn her to face you and the gate. Wait to release her until she stands quietly. Do you suspect (or know) your horse has been abused or neglected? Trust issues are going to surface here, requiring a very different approach. This horse will initially assume you’re not going to keep him safe and comfortable. Short, easy, patient lessons are best here. Can you find a favorite place to scratch? Go there any time he gets brave. Did he let you brush his belly (for a few seconds) without jumping away for a change? Spend a few minutes rubbing his “oh, that feels so good” spot. Having trouble leading? Work on short distances, quit early and give lavish praise. Make your requests of him short and your time helping him feel comfortable long. Perhaps the biggest value of ground work – particularly with young horse training or work with horses that have issues borne from prior history – is, done right, it helps you get to know your horse. If something isn’t working, try a different approach. Yes, with certain horses, you need to finish the lesson, but that doesn’t mean you must insist she work off the cues you choose. Watching how your horse reacts to the little things you do daily will teach you a lot about him too. Everything you do is teaching him. Don’t forget that and you’ll learn to master ground work training in ways you never imagined. The added bonus is, with a bigger focus on what happens on the ground vs. in the saddle (hopefully those aren’t happening at the same time), you’ll be able to create an incredible bond with your horse. That mutual understanding will morph so it seems all you have to do is think a thought and your horse responds with your wishes. Have fun with this. Then, your horse will too.